A year ago we went to Resorts World Singapore for some R&R. We had lots of fun exploring the resort and the shops around it including the restaurants. So now, I can’t help but share a Throwback Thursday Post about our dining experiences at RW Sentosa Singapore. First on this throwback series is a taste of Laksa at Pappa Mia RW Sentosa Singapore. My sister and I are used to having light breakfast before a flight. We also do not eat meals on the plane because we are prone to travel sickness. As a result we were so hungry when we arrived in Singapore. Pappa Mia Restaurant is conveniently located at the lobby of the Festive Hotel where we are booked for the trip. We just left our bags at the concierge then proceeded to order our 2pm lunch. 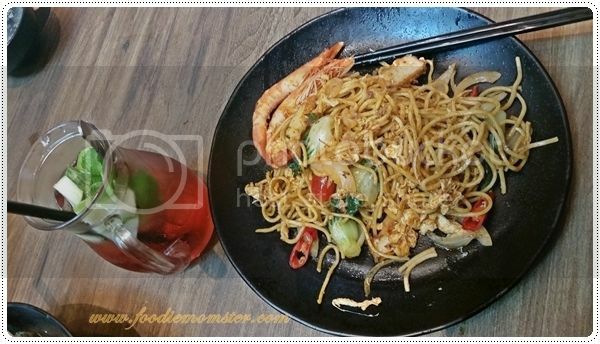 Pappa Mia offers Asian Cuisine and some western favourites in their menu. We decided to try the Laksa which is a spicy noodle soup popular in Singapore and Malaysia. 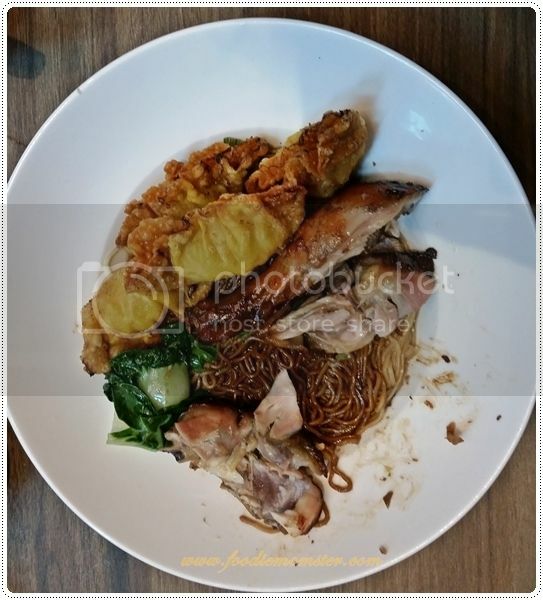 Just to be safe we also got familiar fares like Chicken Satay and fried noodle dishes. I wanted to try the Laksa because it looked so appetizing in one of the travel shows that I watch. 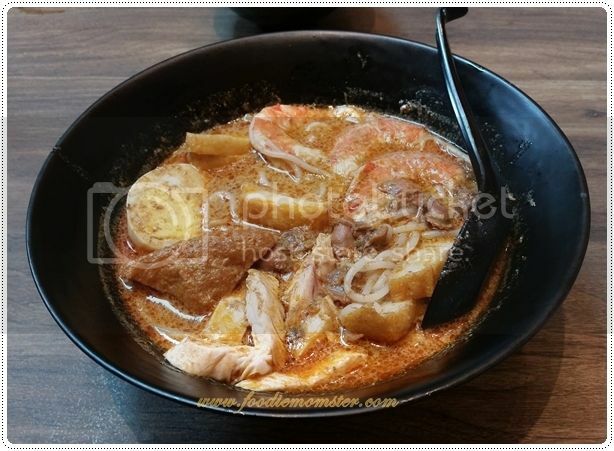 The Laksa at Pappa Mia RW Sentosa Singapore has prawns, chicken, egg, fish cakes, and vermicelli noodles in coconut milk and asam or tamarind soup base. I was expecting a somewhat creamy broth with a mix of salty, sour, and spicy flavours. What I got was something like a bland tom yum goong. The prawns were also a bit overcooked but I was satisfied with the other ingredients. It was my first time to try a laksa so I am not sure if it was good laksa or not. But on the whole, the dish was just fine and I wouldn’t mind trying other versions of it. 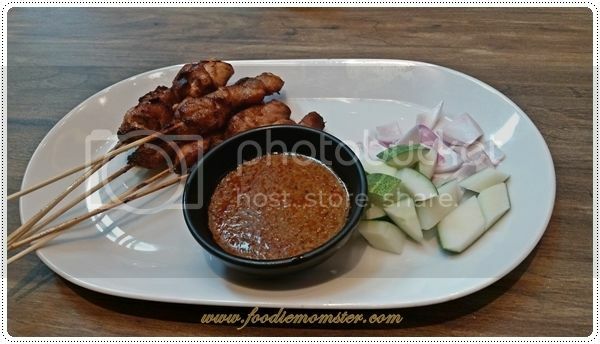 As for the other dishes, the Chicken Satay was good and I liked the peanut sauce. The stir fry noodles with prawns, chicken and vegetables also tasted fine with me even if it looked like it was hastily prepared on the plate. I would have appreciated the chicken and dumpling noodle dish if it was served hot instead of lukewarm. The restaurant interiors looked nice and it has a pleasant ambiance, so I expected more in terms of food quality. I felt that they were not consistent in freshness of ingredients as some of them tasted fresh and some felt like they were sitting in the counter since morning. I would give Pappa Mia a rating of 3.5 spoons for the nice interiors and menu selection. The food was average, it is enough to fill your tummy but not something that you will look forward to. I have no complaints about the service but adding a bit of congeniality can get them a 4 spoon rating in my book. I got my first taste of Laksa at Pappa Mia RW Sentosa Singapore and ended up more curious about the dish. Eating Laksa is definitely on my to-do list on our next visit to the region.